This is a non-immigrant visa that allows foreigners from countries that have signed a trade agreement with the United States to come to the United States and conduct business there. This business may include the trading of the goods, technologies and services: banking, insurance, transport, tourism, communications, data processing, advertising, accounting, design, engineering, management, consulting, exchange of technology and other services that can be measured. What are the benefits of an E-1 visa? You can legally work in the US in a company that does business between your country and the US for more than 50% of a time. You are free to enter and leave the United States. Be in the United States for an unlimited time, extending an E-1 visa an unlimited number of times for 2 years each time. Bring your family with you. Spouses and children have the right to work in the United States. You can only work for a specific company or your own business, which is your sponsor for an E-1 visa. An E-1 visa can be obtained only by a citizen of a country that is part of a trade agreement with the United States. 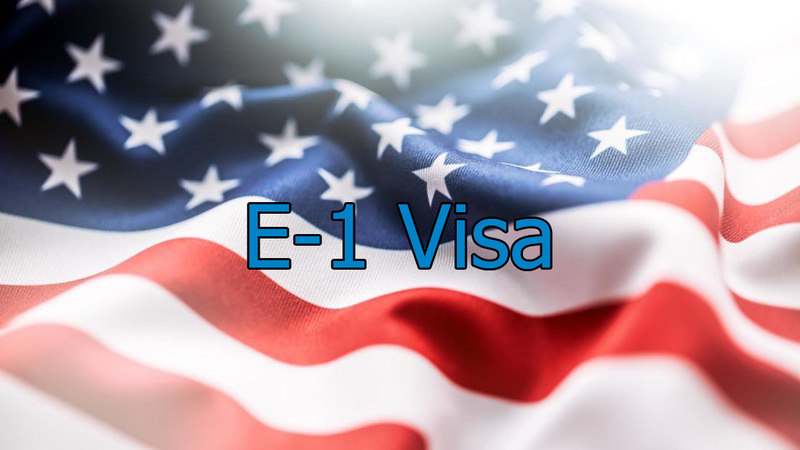 The E-1 visa allows you to stay in the U. S. for 2 years and then go through the renewal procedure again. Countries that have signed an E-1 visa agreement with the U. S.
To read more about E-1 visa please see this detailed information provided by the U.S. Department of State and USCIS. contact Houston Business Law Firm Gasana today!